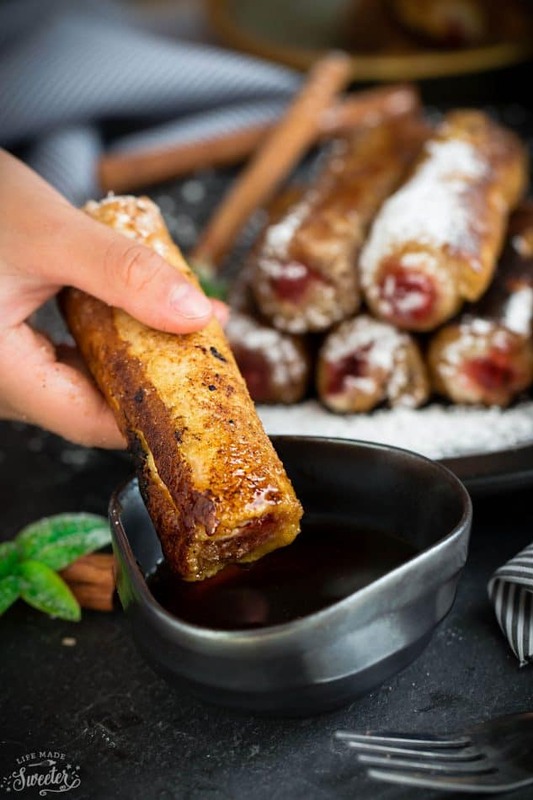 Cherry Cheesecake French Toast Roll Ups make a fun and creative breakfast treat perfect for special mornings. Best of all, the filling is so easy to customize with your favorite flavor. Breakfast will forever be my favorite meal. …especially when it comes to weekends. Saturday mornings are the best since we’re not rushing around trying to get everyone ready and out the door to go anywhere. I love that I get to kick it up a notch and have a little fun experimenting instead of our usual boring oatmeal. Pancakes, crepes, french toast – you just can’t go wrong. 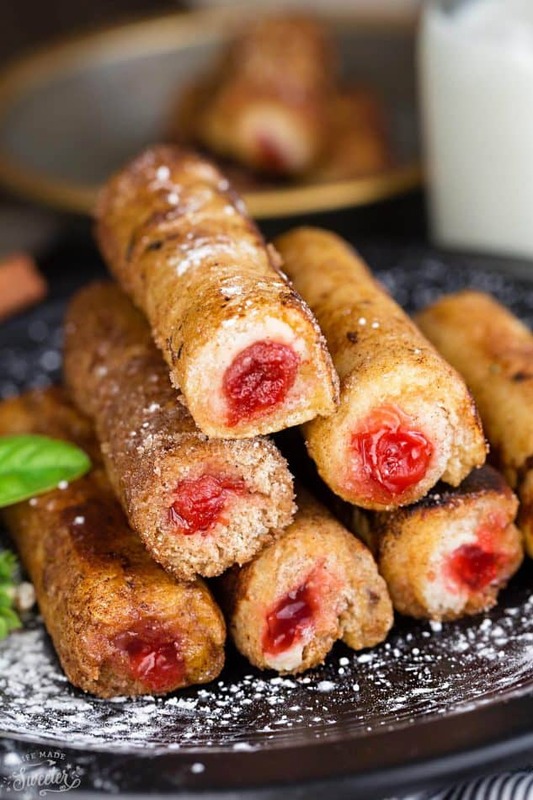 And since today is National French Toast Day, I thought I would put a fun cherry cheesecake spin on the popular french toast roll-ups I’ve seen everywhere on Pinterest. They came out better than I expected and are just a ton of fun to make – especially with the kiddos. 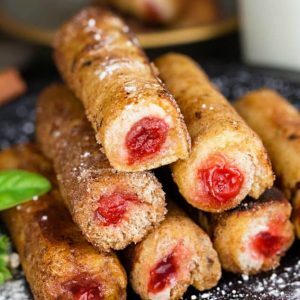 They’re perfect dunkers for lil hands and after trying these Cherry Cheesecake French Toast Roll-ups, they may not even want to have french toast any other way! 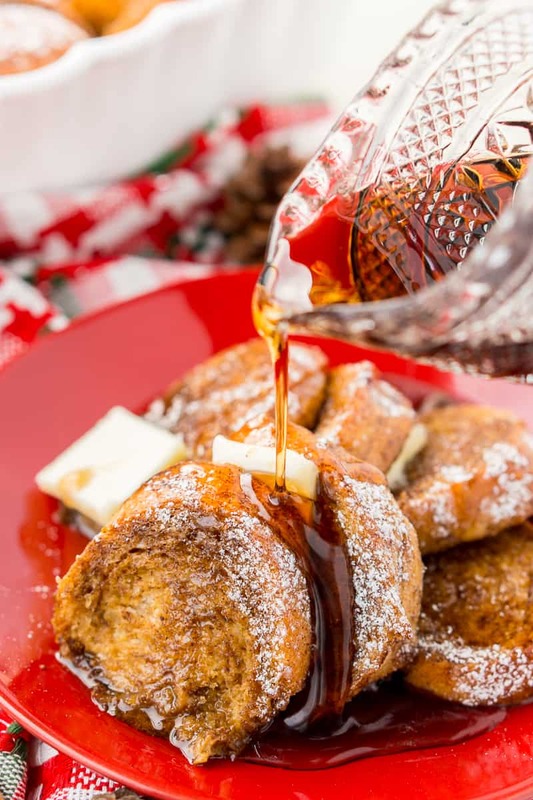 French Toast Roll-Ups would also be perfect for brunch, holiday mornings or any special weekend breakfast. You make them with slices of sturdy bread with the crusts cut off and flattened out with a rolling pin. I tried using white and whole wheat and although the taste was pretty comparables, the white ones held up much better. Spread a little bit of cream cheese and cherry pie filling, roll them up tightly and dip each in an egg and milk mixture. Cook until they’re golden brown and give them a roll in a cinnamon sugar mixture for extra flavor and texture. Plus, you can easily make them with an endless option of fillings. Strawberry, nutella, or even chocolate would be amazing. A little dip in some maple syrup makes them extra sweet and totally irresistible. Gooey cherry and cream cheese filling wrapped in French toast! These roll-ups are such a fun breakfast idea, the whole family is sure to love them! Dust with powdered sugar and dip in maple syrup for the ultimate breakfast treat. In a medium bowl, combine the ingredients for the cream cheese filling and mix until smooth. Set aside. In a shallow bowl, whisk together the eggs and milk. Set aside. In another small bowl, stir together 1/3 cup granulated sugar with 2 teaspoons cinnamon. Set aside. 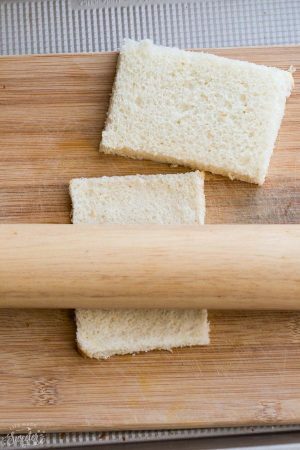 Remove crust from each slice of bread and flatten using a rolling pin or a glass. At the end of each bread, spread cream cheese along in a strip then add about 1 1/2 teaspoons (do not overfill) of cherry pie filling and tightly roll up each slice. Heat a non-stick pan over medium heat and melt butter to coat pan. Dip each roll in the egg mixture and place in pan with the seam down. Cook until golden brown turning to brown all sides. You can cook about 3-4 rolls at a time. After the rolls are done, clean the pan slightly with a paper towel and repeat until all the rolls are cooked. Roll each into the sugar-cinnamon mixture. 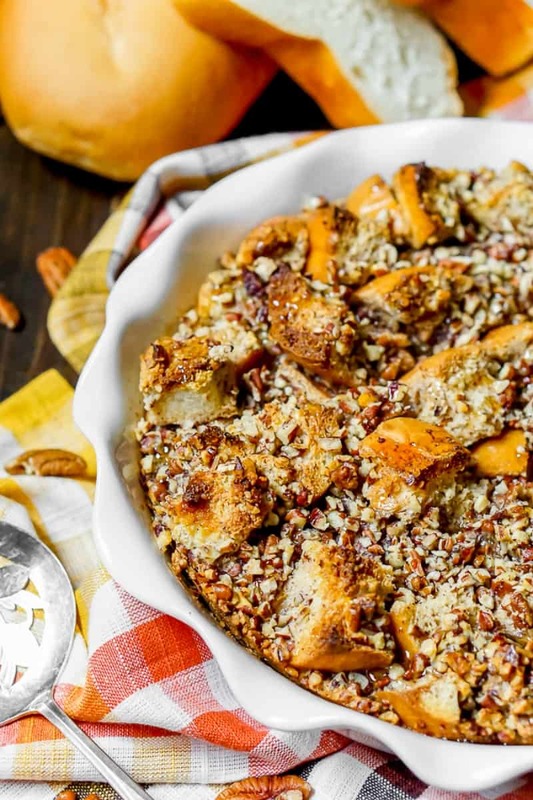 Serve warm and dip in maple syrup and a dusting of powdered sugar, if desired. 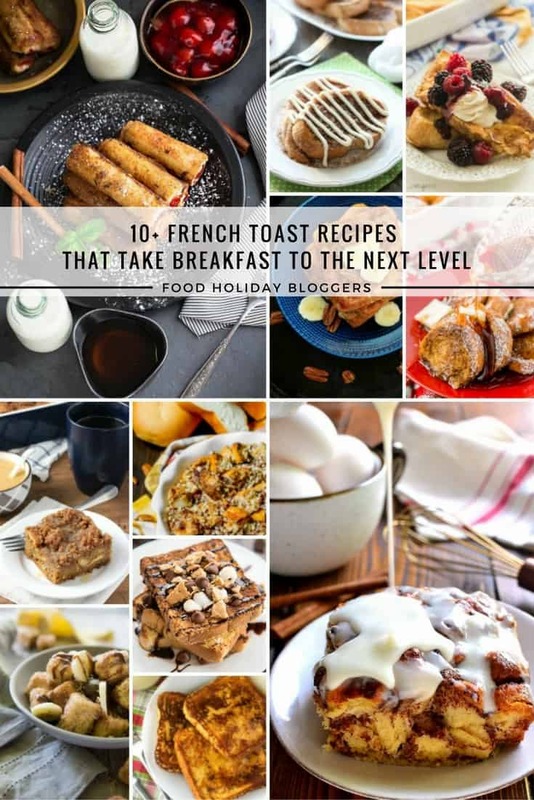 Don’t forget to check out the other recipes below from my fellow food holiday bloggers celebrating National French Toast Day! So fun!! 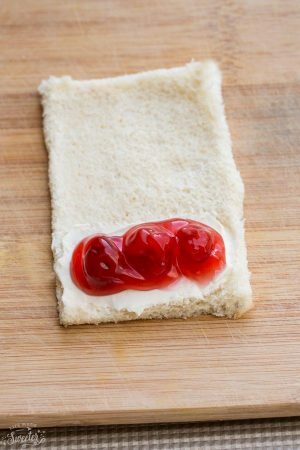 I’ve made french toast roll-ups a few times and love this cherry cheesecake combo! These look beautiful!! Weekend breakfasts are our favorite! These would be a hit here! We love french toast!! 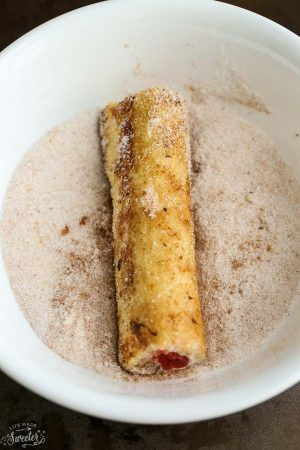 I love french toast roll ups, they are my favorite! These look amazing Kelly, cherry and cheesecake yum! Oh, these look like so much fun! I am as big a fan of weekend breakfast as you are; they are totally sacred. And I’m always looking for something tasty and fun to serve…this is a great idea! Thanks for sharing…here’s to the holiday season! Oh, YUM. I love cherry cheesecake and French toast so I definitely need to try these! 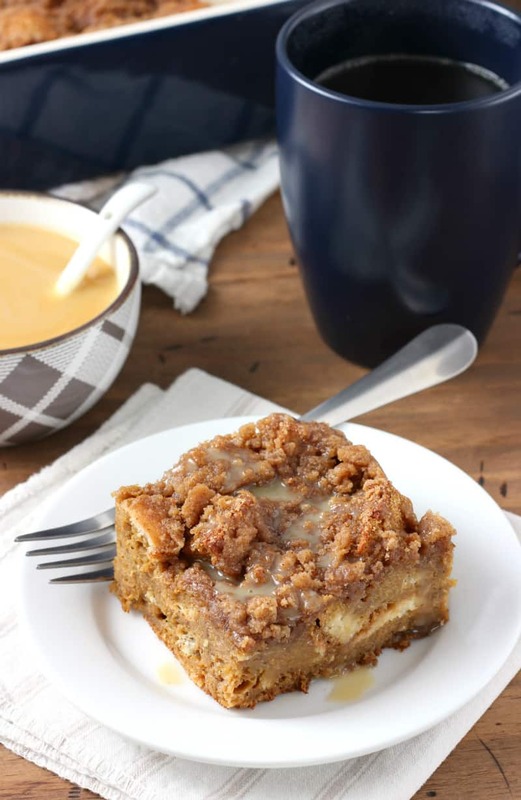 The perfect breakfast treat for the holidays! 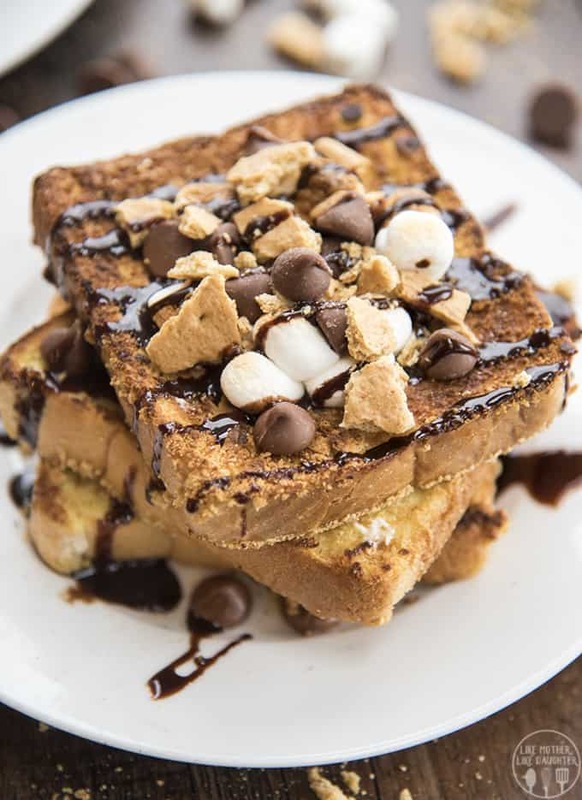 How did I miss National French Toast Day? 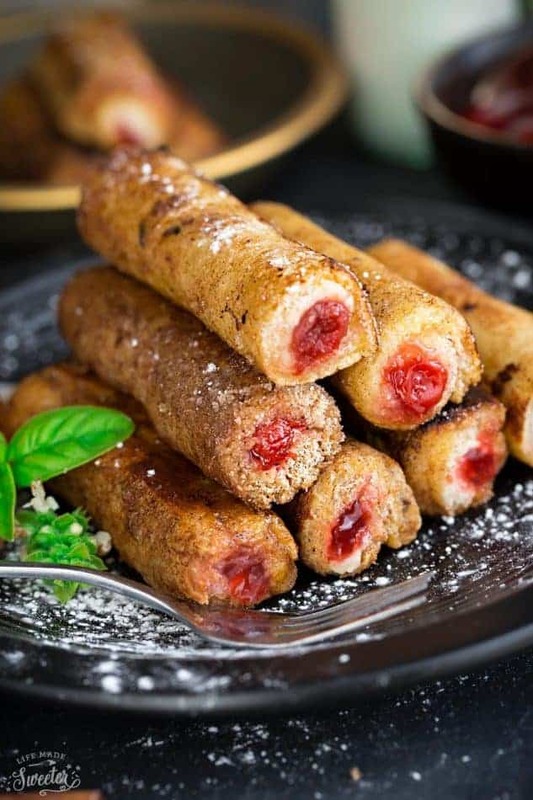 These cherry cheesecake roll ups look like the perfect way to celebrate! Breakfast is my favorite meal, too! 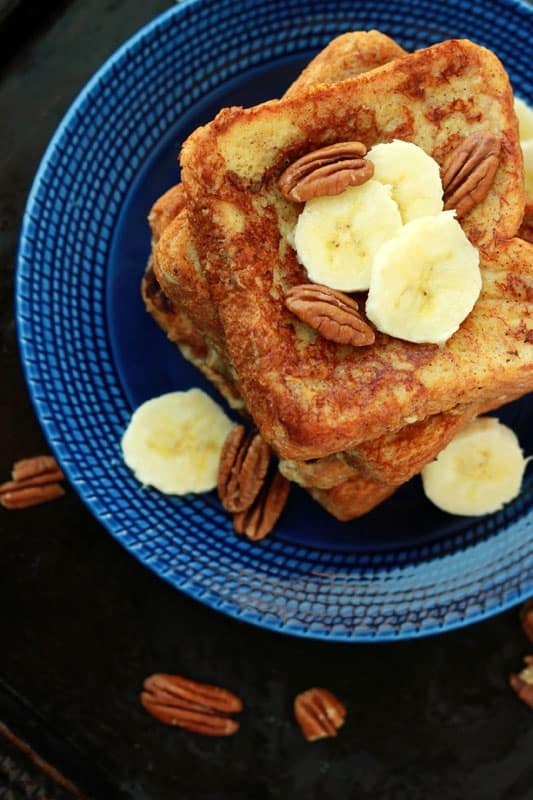 And you just can’t go wrong with french toast. 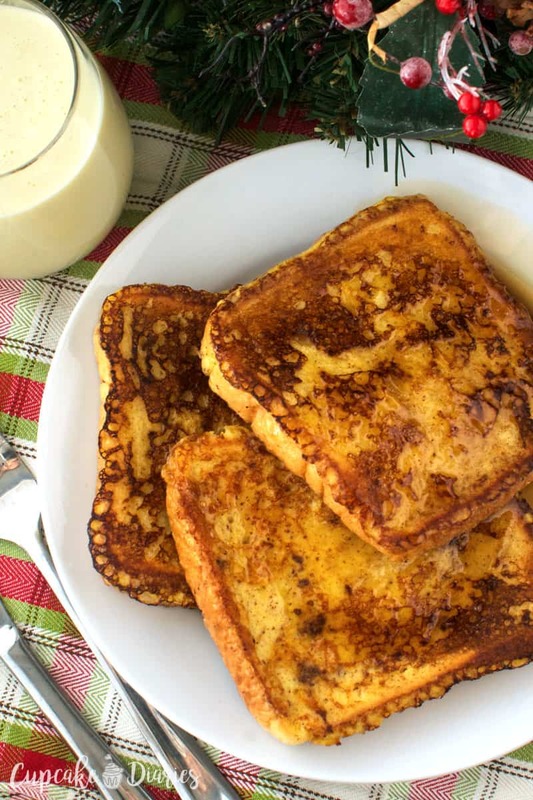 I had no idea it was National French Toast Day, so I’m LOVING this recipe, Kelly! These roll-ups sound just perfect! They look amazing and so tempting with the combo of cream cheese and cherry pie filling! 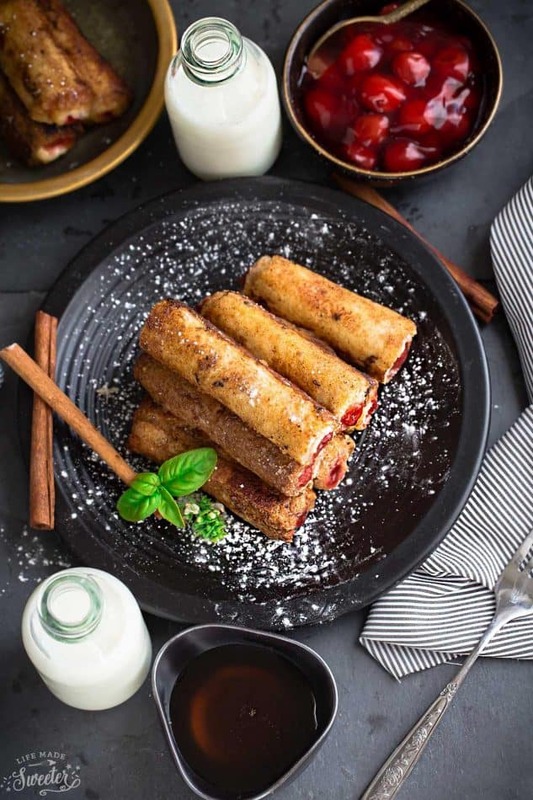 Love French toast and I’ve always wanted to try rollups like these. They look Perfect! Pinned to try. 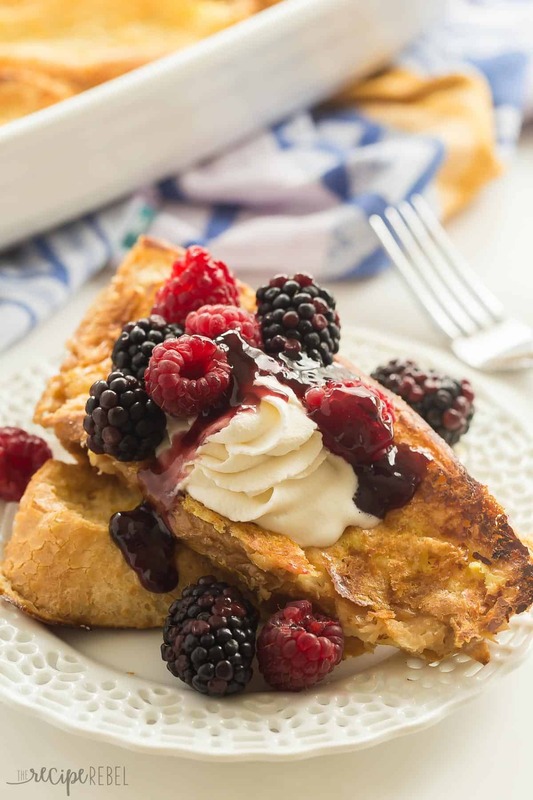 Love that you combined cherry cheesecake and french toast! Can’t wait to try these! I’ve never made french toast roll-ups before but man do they look fun!! And cherry cheesecake??? I love it! 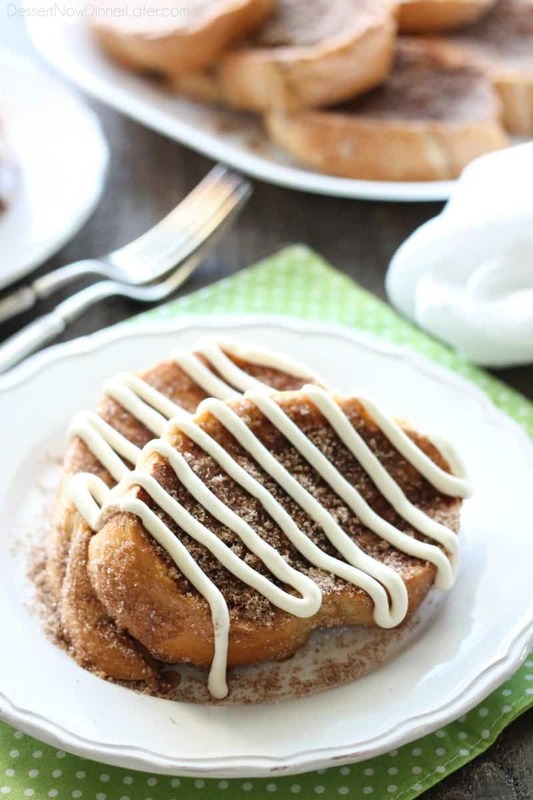 Oh Kelly these French toast roll ups are so cute…it is sure dessert for breakfast…I love the idea. I wish I made more creative breakfasts. 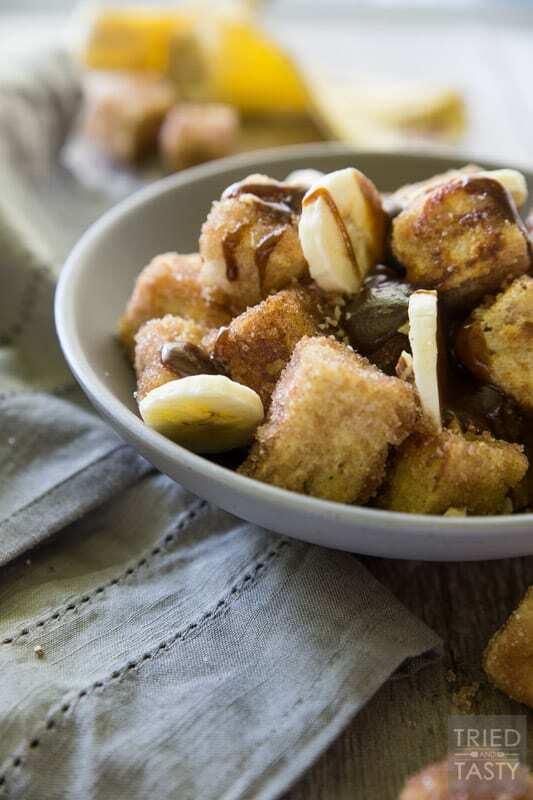 These French toast roll ups are so fun! 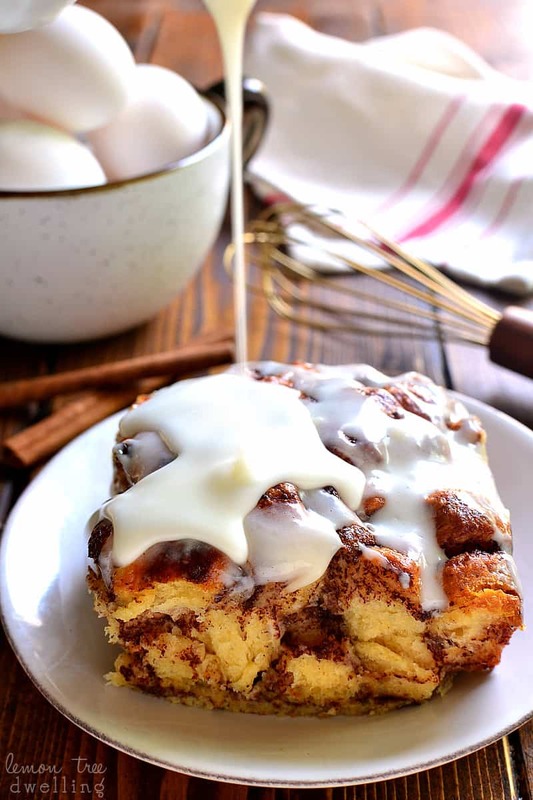 These are so perfect for a holiday brunch or breakfast! These are almost too good to be true! I love that these are stuffed with cherry cheesecake (my favorite! ), and they’re so festive and fun. My kids would be all over these!